We offer property inspections services Auckland wide. We can give accurate, fast property inspections with the option of a verbal or written building report. Innohome Ltd. Building and House Inspections established in 2003, has delivered comprehensive reports to hundreds of customers. Furthermore, we commit to provide you with high-quality inspections whether you are buying or selling or to protect your current investments. We recommend landlords get a thorough property inspection by a registered building inspector every few years to protect your investment. Firstly, it a great way to make sure you, as the landlord, are meeting health and safety obligations. And secondly to make sure there are no hidden issues that could cause costly repairs giving you peace of mind. Make sure they are no hidden issues that could damage your investment. 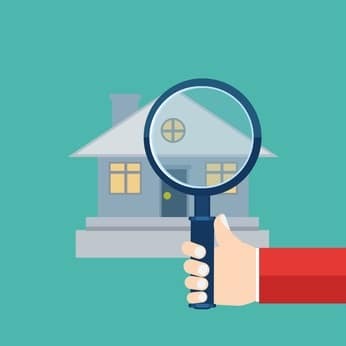 How long since you had a thorough property inspection of your rental property? We provide same day 24 hours services, and we include electronic moisture detection for potential leaky homes. Make an inspection part of your purchase agreement before anyone else beats you. We used Kevin to do a house inspection for us. I will definitely use him again and recommend to others. The inspection report is very thorough and easy to understand, he also spent time on the phone with me, helping me understand what I was potentially getting myself into. Thank you for this, you are fabulous and we will definitely call on you for Inspections if required in future and I will recommend you to others. Thank you for going above and beyond and for such excellent service. Kevin is extremely professional and has made the process of getting a building inspection done so easy for us. He traveled out of town and in the same day called and explained what he found as well as getting the full written report to us the next day. He went beyond what was asked and took a sample of the ceiling for us and dropped it off for asbestos testing. Definitely, a service that went high above our expectations and the full written report is extremely descriptive and gives a great insight into the house and repairs we will need to do. Kevin is extremely professional and has made the process of getting a building inspection done so easy for us. He traveled out of town and in the same day called and explained what he found as well as getting the full written report to us the next day. He went beyond what was asked and took a sample of the ceiling for us and dropped it off for asbestos testing. Definitely, a service that went high above our expectations and the full written report is extremely descriptive and gives a great insight into the house and repairs we will need to do. I used Innohome for a pre-purchase inspection, and am so glad I did! Kevin picked up all kinds of issues I would never have spotted on my own. All the way from the current carpet was laid on the top of old carpet, to extremely high moisture readings behind the toilet, and the cladding being an older sort that had a high failure rate. In the end, saved me from buying an expensive do-up. He took me around the site and pointed out all the issues, explaining them in a way I could easily understand, and yet didn't try to influence. Excellent response time. Thorough inspection while respecting our home, e.g. when using ladders he placed a cloth where it touched the house to avoid scratches, things moved were put back again. Excellent reporting complete with photos. Our builders’ reports are accurate and, unbiased. The property inspections are carried out by following established building inspection standards NZS4306.2005 by our qualified building inspectors.